Because everyone is unique, GoodNight Home offers a variety of pillows in different shapes, sizes and materials, so that you may find the perfect match. Our pillows are made with the safest and natural ingredients available. 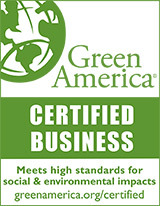 We use only natural fibers that are breathable and completely safe. No chemical off gassing! Choose your fill of dust-mite resistant Wool, hypoallergenic, anti-microbial 100% Natural Latex, Kapok, or Organic Cotton. With so many pillows to choose from, everyone in your household will find one that is a perfect fit! If you're tossing and turning all night it could be because you're not using the right pillow. The correct pillow for you is very important to getting a proper nights rest. It's not just about "comfort", it's also about sleeping on a pillow that is healthy and not filled with chemicals and synthetic fibers or foams. Kapok, a fiber extracted from the seed pod of the kapok tree, provides the baby soft touch and comfort of down. Our kapok is harvested in the rainforest, protecting the life ways and ecosystems of indigenous people. These pillows are resilient, springy and supportive; they mold to your body for the ultimate in support and pleasure. Hand stuffed in the USA to avoid lumping. Kapok pillows are soft to the touch and great to snuggle up to. Kapok is grown without pesticides or chemical fertilizers. Kapok pillows do not "off-gas" like petroleum based synthetic pillows or Visco-elastic foams such as Tempur-Pedic. Perfect for those looking to reduce the amount of harmful chemicals in your bedroom. For additional pillow protection try our zippered pillow protector covers made of 100% Organic Cotton Sateen. Covers are made with luxurious 100% organic sateen cotton. Actual sizes may vary slightly. Standard, Queen, King are available in Lite, Regular and Extra fill. GoodNight Home Organic Cotton Pillows are completely natural no added chemicals. GoodNight Home pillows with zippered covers make cleaning possible. To clean zippered covered pillows, carefully remove contents and machine wash warm, cover only. We do not recommend washing pillow contents. Pillows without zippers can be spot cleaned with mild soap and water. Placing in the sun is an excellent way to purify your pillows, pads, toppers and comforters. Do not machine wash pillows, only the covers if it zips off. Due to the hypoallergenic nature of the products and bedding law regulations, items that have been used, laundered, or are not in original packaging are non-returnable. Returns will not be accepted without prior authorization. Call for more information: 866 388 5154. Call our customer service department at 866 388 5154. We're here to offer helpful advice on pillows that are best for a great nights sleep. 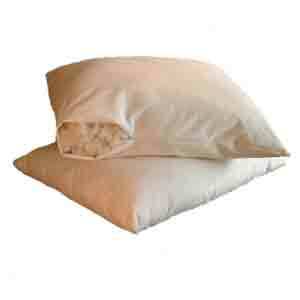 Organic Allergy Pillow Encasing(ea) Choose Size Std(ea) Queen(ea) $32 King(ea) $35 $29.00 $26.10$26.10 On Sale!